Farming is full of trial and error. It’s full of firsts and lasts. It’s a labour of love. Constantly having to invent new ways, take great risks and improve the old to stay fresh and relevant. Farming is a constant journey of pioneering. For Anthony and Marj Sjaarda, their pioneering moment came 13 years ago, when they decided to follow their passion and their dreams. Reflecting back to 2002, it doesn’t seem like that long ago, but in the dairy goat world it was still very much unknown territory. Having been involved in farming his whole life Anthony naturally took to caring for the animals, admitting that “goats are a very unique animal” and while they do share similarities with cows, they are completely different in the way you manage and feed them. And until the decision to purchase the in-laws farm, he had never milked a goat before in his life. Nevertheless, they forged onwards with their optimistic outlook on the industry and grew their farm and business. “Joy is something that you choose. We choose to look at the positive. 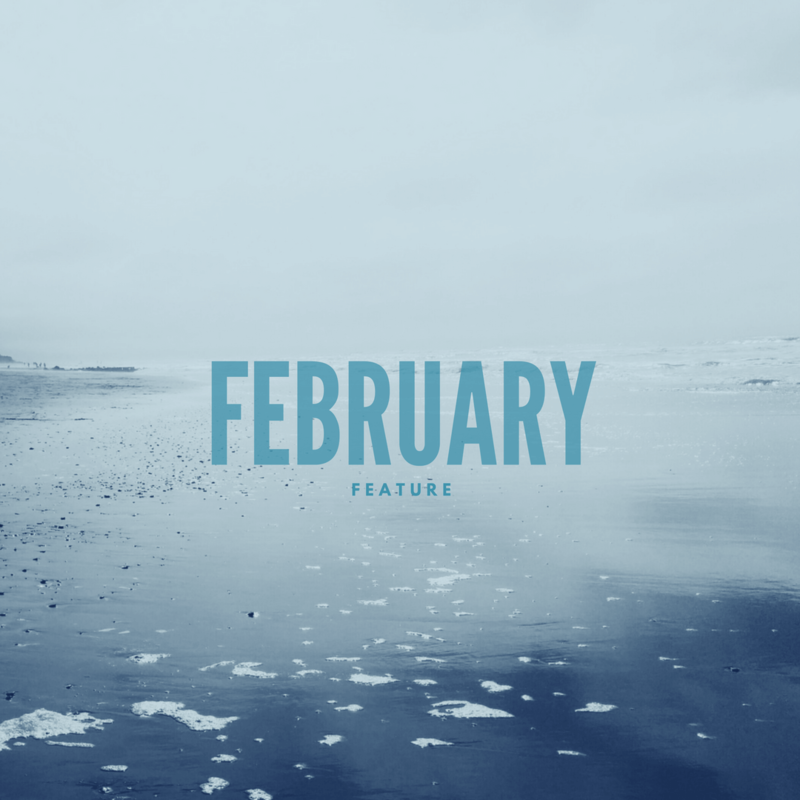 In difficult situations we choose to look for better days ahead,” says Marj. In the early days Anthony says, “there really was not a lot of support or resources. We had to do a lot of personal research and it came down to a lot of trial and error.” Goats were a mystery in agriculture. Just building the nursery took much careful consideration and time deciding on how they wanted to raise the kids, what penning to use and what kind of milk replacer to feed them. “You’ve got to work smart not hard. But you’ve got to work hard to a certain degree, think about what you are doing,” was Anthony’s philosophy when they began. “I try not to use a fork and wheelbarrow,” admits Anthony. Elbow grease was absolutely part of their process in setting up the barn and nursery, but the goal was not to stay that way. 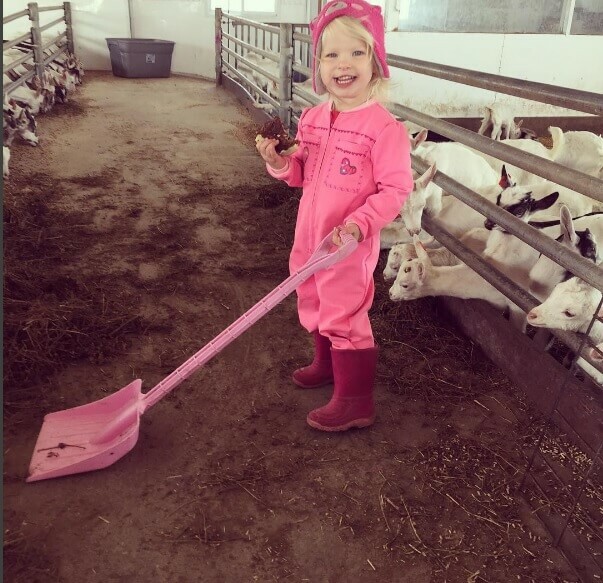 “Making everyday chores better and more efficient and not wear out our physical bodies.” Investing in automation and skid steers to leave the wheelbarrow in the corner as a last resort has brought about the efficiency that the Sjaarda’s set out to achieve on their goat dairy. “One of our happy moments was, when we got those machines (the ECO),” says Anthony. “A very, very happy moment,” adds Marj. Both remember days growing up on the farm. Anthony pitching small squares in his grandfather’s scorching haymow during the summer. And Marj credits her days of picking rocks to seeking out a career in nursing. 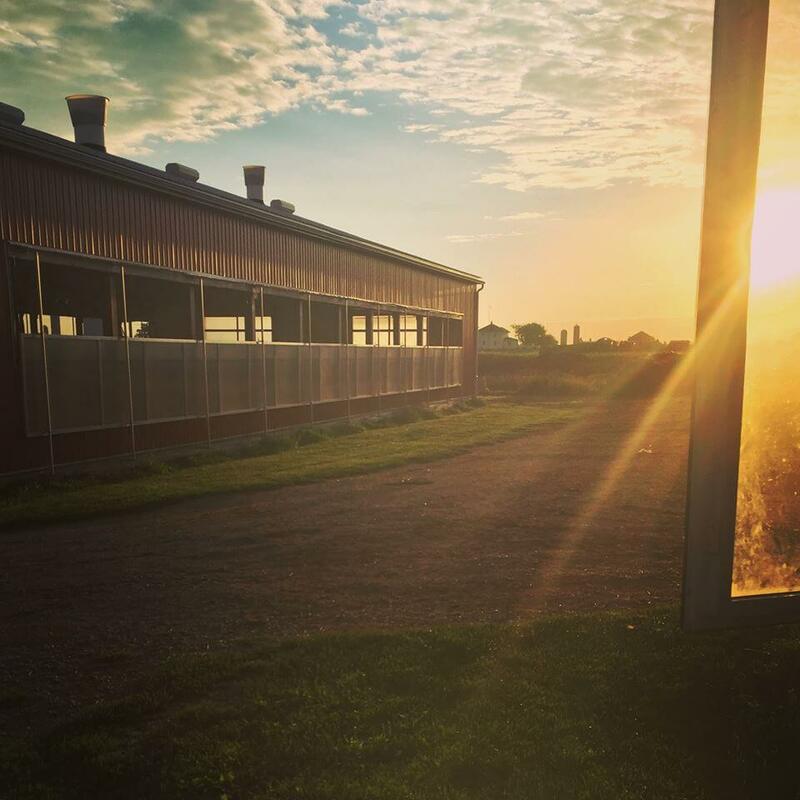 “Ironically, when I was away was when I learned to appreciate the farm more,” she says. The whole lifestyle, teaching work ethic and being your own boss, made her want to come back. Raising their family on her parents farm has been a true blessing. The couple’s busy family is filled with five boys and one girl, who are all hands-on involved in daily chores. “We couldn’t deal without them,” the couple agrees. The Sjaarda’s are so passionate about farming and innovation that they even invented their own word. They say that farming is an inventerous journey. “You absolutely have to be innovative if you want to be a farmer, it wasn’t cut and dry when we started. Innovation grew us. We are better for it,” Anthony recalls. Today the industry and goat’s milk in general is much more mainstream. Maybe even trendy. You see soaps at farmers markets, goats milk ice cream and plenty of cheese. 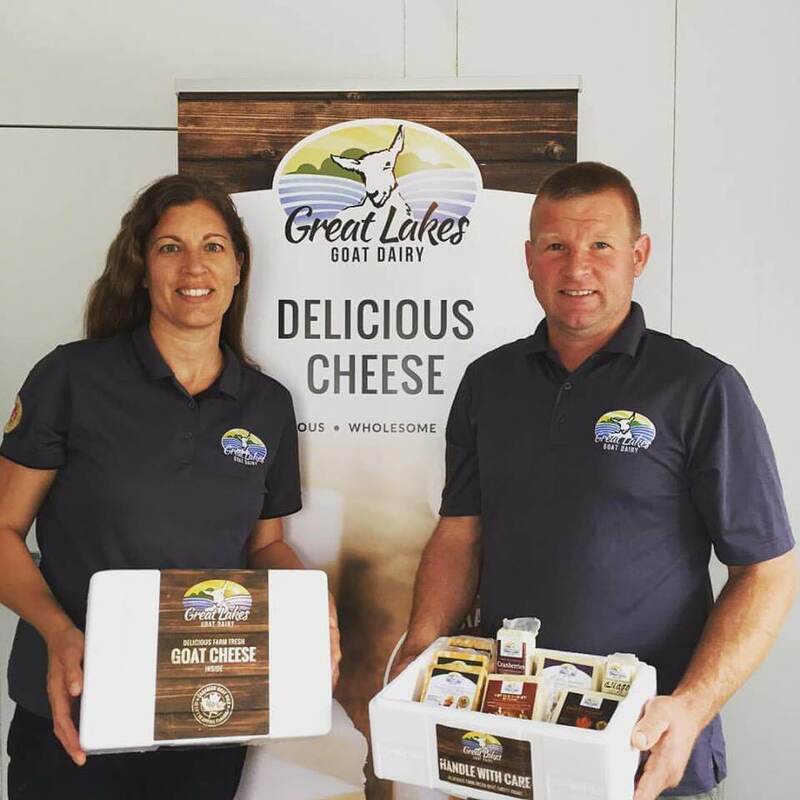 Building the path to Great Lakes Goat Dairy was an inventerous dream of Marj and Anthony. 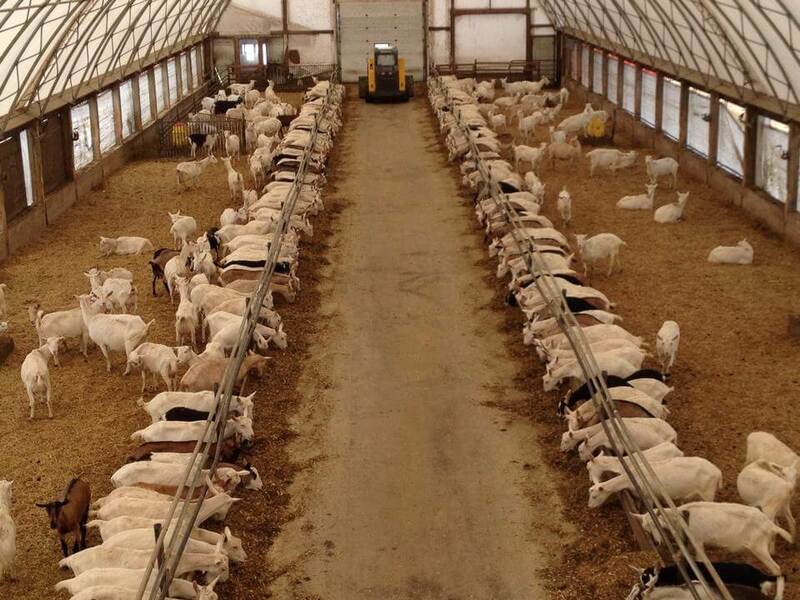 The cooperative produces goat cheese that is sold across Canada today. “We are producing something that feeds friends, families, neighbors and strangers across our country. A healthy nutritious product. That’s pretty neat,” and makes them proud to do what they do. Much like the early pioneers, the Sjaarda’s have an energy and drive. They hope to see the goat industry push to be bigger and better each passing day. “Every day when the sun comes up, we feel blessed to have the opportunity to start another day and be involved in the activities of that day”. Marj and Anthony are true pioneers of their passion.